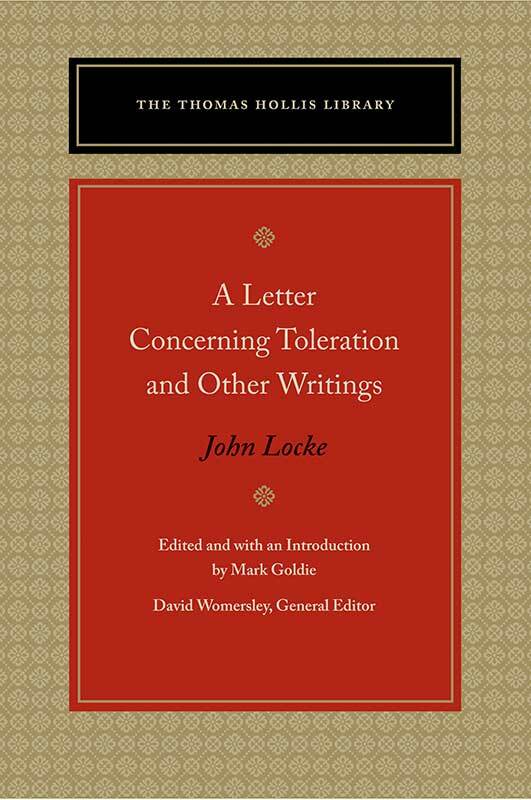 This Liberty Fund edition provides the first fully annotated modern edition of A Letter Concerning Toleration, offering the reader explanatory guidance to Locke’s rich reservoir of references and allusions. David Womersley is Thomas Warton Professor of English Literature at the University of Oxford. His most recent book is Divinity and State. Mark Goldie is Reader in British Intellectual History at the University of Cambridge. Editor’s introduction, suggested further reading, chronology of Locke’s life, notes on the texts, annotations, index.